5 Amazing Spanish Coastal Cities That You’ve Never Heard Of! Are El Clasico and Flamenco music the only things that come to your mind when you hear the word ‘Spain’? 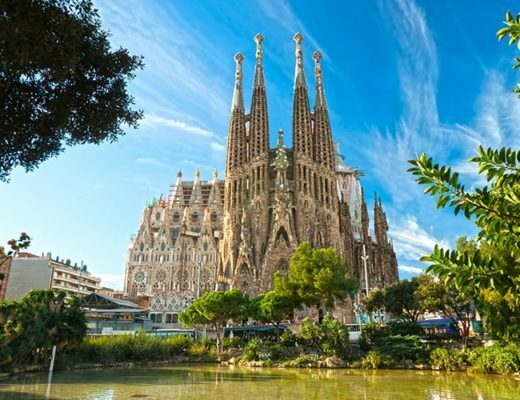 Then, let us tell you all about the other breathtaking things about Spain – coastal cities that are beyond magnificent! Although we’re definitely not implying that you’ve been living under a rock like Patrick, the starfish, it is vital that you know about these places if you expect to experience Spain in all its glory. As necessary as it is to get kissed while visiting the idyllic Italian coast, it is paramount to get sun-kissed on the dazzling streets of some of the best beach cities in Spain. 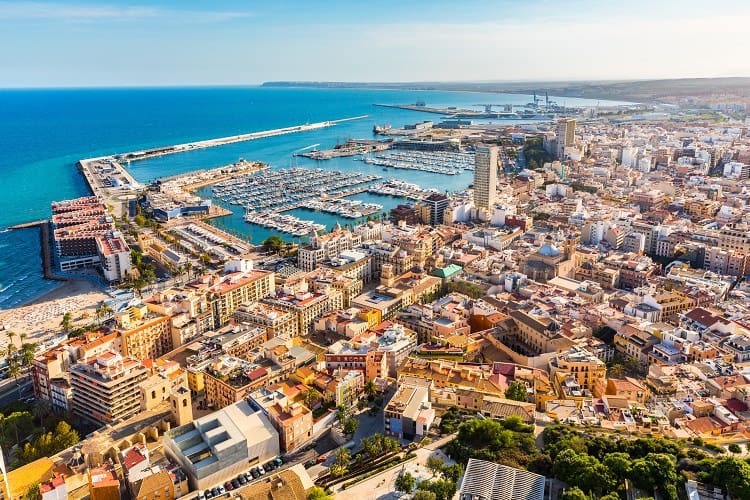 So, hold on tight because we’re about to take you out on a sensory ride to these 5 amazing Spanish coastal cities that you’ve probably never heard of! Here are our top 5 picks of the most amazing Spanish coastal cities to visit! Alicante, or Alacant, is a city on the coast of Costa Blanca in Spain and a beautiful, historic Mediterranean port. It is an ideal destination for those who are on the lookout for the experience of a luxurious beach vacation, rather than opting for a tour of Italy’s gorgeous countryside. 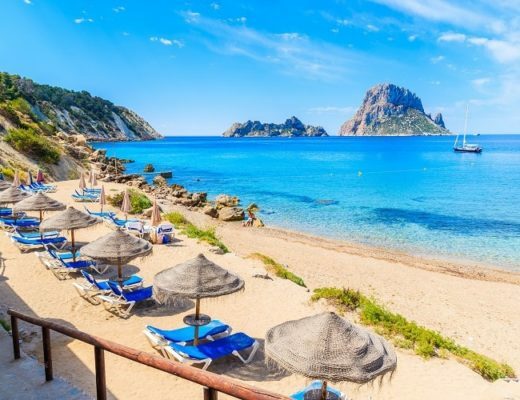 It boasts of some stunning beaches like the Santa Pola, El Portet in Moraira, and La Granadella in Javea. 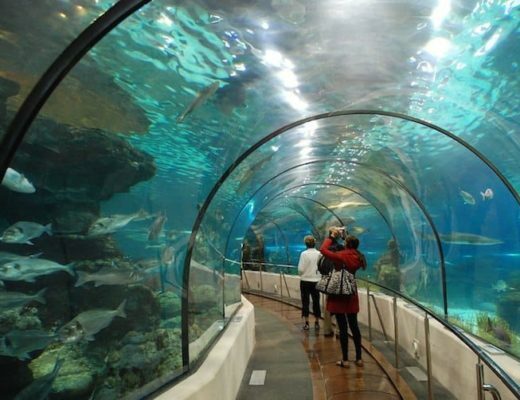 Also, you can plan an excursion out to the Island of Tabarca, or choose to enjoy nature’s beauty at the Canalejas Park. If you want to relish the art and culture of the place, do visit the Casa de la Cultura (cultural center) with its vast library and historical archives. The Teatro Principal and the exhibition centers of Eusebio Sempere and Lonja del Pescado are the major hubs for theatre and art exhibitions in the city. Tip: The best way to see this city is by taxi. You can book your Alicante taxi online. Almeria is a city in Andalusia, in the southeast of Spain, and is located right on the Mediterranean Sea. It is undeniably one of the most beautiful coastal cities in Spain, especially the exquisite village of Lucainena de las Torres, which is known for its spotless streets and charming whitewashed houses decorated with lovely potted plants. 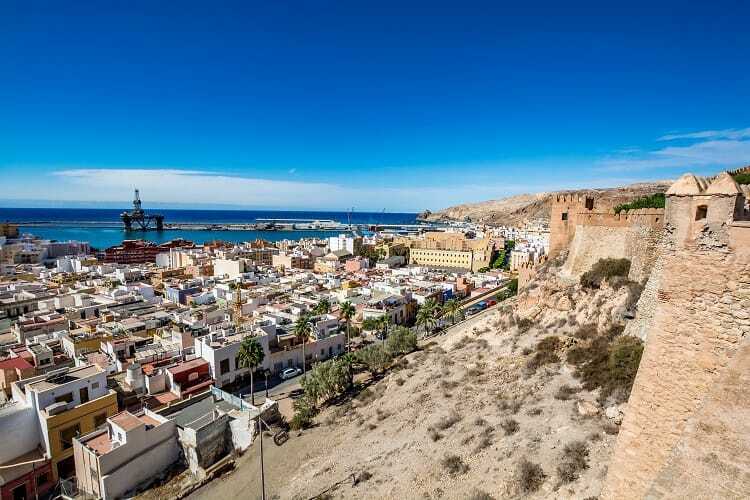 As one of the most stunning beach cities in Spain, Almeria opens up a gateway to 600 magnificent caves in Karst de Los Sorbas (definitely one for the brave-hearted). You can also visit the curious ‘troglodyte villages’, which have houses made out of soft-rock caves. Almeria also has some of the most stunning beaches like the Monsul Beach and Los Genoveses Beach in San Jose, as well as the Aguadulce and Las Negra beaches. Tip: Best way to get around this city is by taxi. You can book your Almeria Taxi here. One of the most incredible jewels on the crown of Spain, Castellon opens up the portals of its beautiful Mediterranean beaches, mountains and medieval villages atop hills for the wanderlusty soul. You can either bask in the beautiful sun-drenched white beaches spanning from Almira to Vinaroz or take to the steep colorful streets in the charming village of Peniscola to reach the Castle of Papa Luna, built on a small peninsula. If we’re talking about Castellon, it is imperative to mention the town of Morello that is another one of the most enchanting villages that you’ll ever come across. It is known for its spectacular landscape, intertwined with its architectural beauty that is reflected in its stone-cobbled streets leading up to the region’s magnificent medieval castle. Tip: Check out the city of Castellon in a taxi, which you can pre-book online. 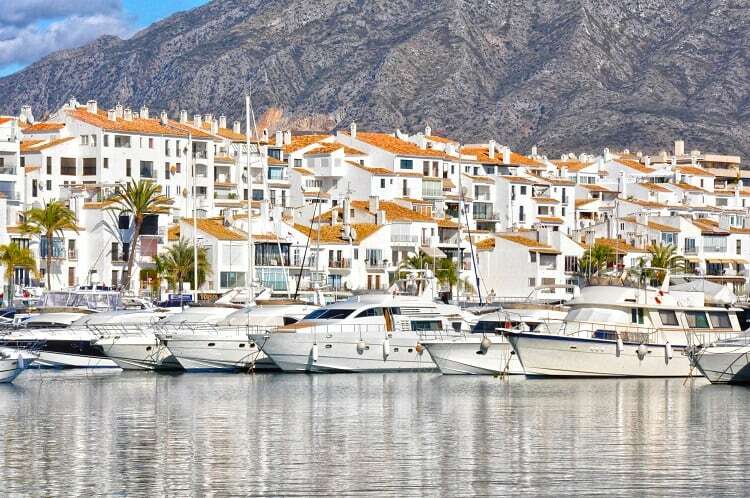 Marbella, on Andalusia’s Costa del Sol, is one Spanish coastal city that embodies the spirit of luxury and glamour in the very pronunciation of its beautiful name. It is one of the most sun-soaked places in Spain, famous for activities involving mega yachts and super-cars. The Old Town and Orange Square in Marbella swirl languidly around the central Plaza de Los Naranjos, which was named after the orange trees that outline it. These locations are rich in historic architecture and on the Avenida del Mar, you can find a collection of sculptures by Salvador Dali on display. But the showstopping element of this city is its magnificent beaches such as the Playa de Rio Real and Playa del Alicante among many others. The Nikki Beach also presents a glimpse into the gorgeous nightlife of Marbella for you to see and be a part of. Tip: Check out this city from the comfort of a taxi. You can book your Marbella taxi online before you go. 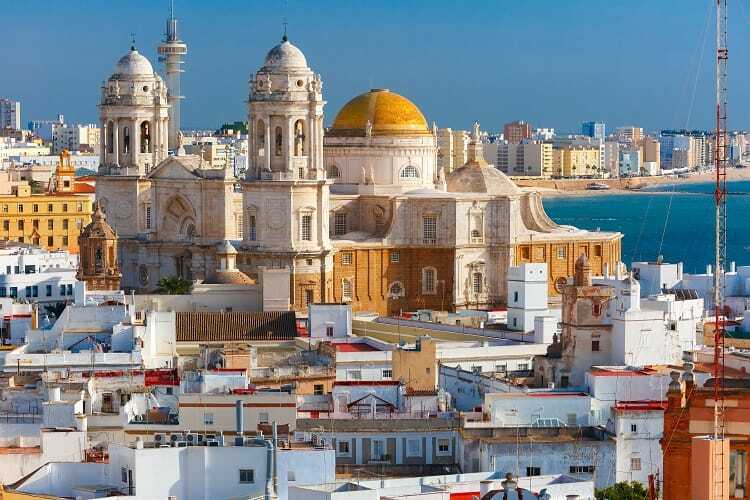 The city of Cadiz is unique and beautiful in an ancient way. This is the oldest inhabited city in Spain, situated on a short strip of land in the southwest, and surrounded almost entirely by the Atlantic Ocean. You can find fantastic lighthouses and look-out towers scattered across the cityscape which itself is built around a port – the lifeline for its locals or gaditanos – for the last many years. Tarifa is famous for its scenic beauty and is a popular kite-surfing destination. And, in Bolonia, you will find yourself admiring the ruins of an old Roman city and wondering if most of the beach is actually a piece of the countryside! We hope you liked our travel guide on some of the most spectacular Spanish coastal cities, giving you the ins and outs of the best beaches to visit. 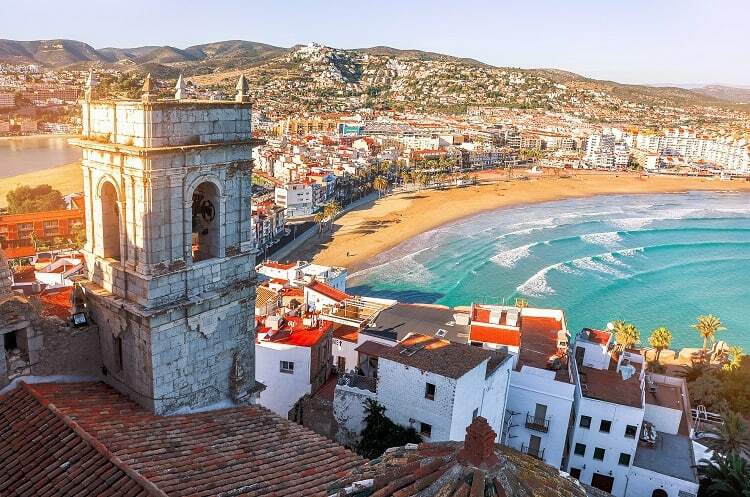 With its gorgeous beachy coves, quaint towns and incredible history, which is told in every building, the coast of Spain is nothing short of incredible. Our picks for some of the best coastal cities are filled with art, tasty cuisine and beaches that take your breath away! Don’t miss out on some truly stunning spots as you travel down the sun-touched coast filled with Spanish flair and an unbeatable atmosphere. Let us know which coastal city is your favorite, or a new destination we can add to the list! Andrzej believes life to be a never ending adventure. Originally from Poland, he is a devoted husband and father. Dedicated and enthusiastic to chase all his dreams. Storytelling to entice other families to travel. 5 Amazing Spanish Islands That You Wouldn’t Want to Leave! The Absolute Best Places to Visit in Spain! Absolute Best 10 Things to do in Barcelona for Kids! We are a family of wanderlusters on a mission to explore the World! In June'15 we made a decision that changed our world as we knew it! Jolene gave up her teaching career in order to chase a life of a travel blogger. And since then we have travelled to a multitude of countries and destinations in a desire to see more, explore more and discover more! 2018 - Wanderlust Storytellers. All Rights Reserved.